The violence between Israel and Hamas is just the latest flare-up in a region of enduring and deadly conflicts. Wars have erupted several times since the founding of the modern state of Israel in the late 1940s. Here's a look at some of the most serious conflicts involving Israel and its neighbors since then -- conflicts that have spanned more than six decades and claimed countless lives. 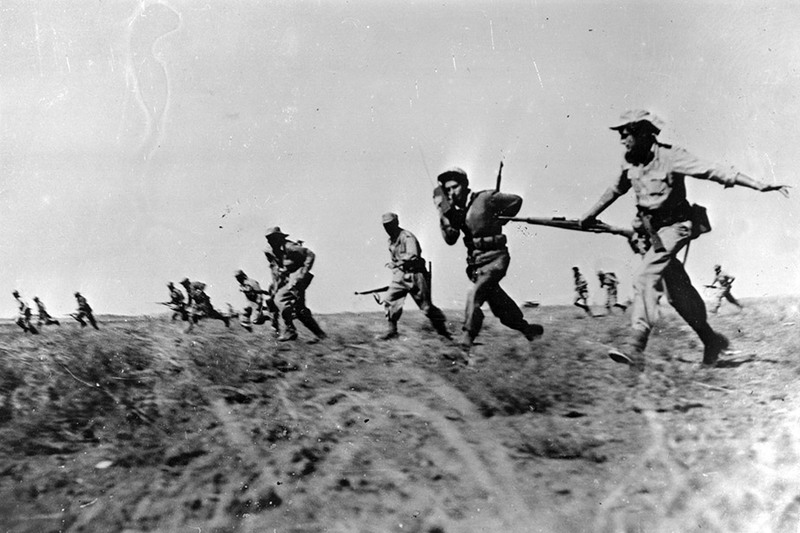 Israeli infantry make a full assault on Egyptian forces during the Arab-Israeli War in 1948. When they fought: November 1947 to January 1949.
Who was fighting: Arab armies invaded what is now Israel. What happened: In Israel's War for Independence, known as the Arab-Israeli War, Egypt gained control of Gaza. What was the outcome: Israel fought with Egypt, Syria, Jordan, Iraq, Saudi Arabia and Lebanon, which invaded territory in the former Palestinian mandate after the announcement of an independent Israeli state on May 14, 1948. Armistice talks gave Israel 75% of what was Palestine, adding nearly one-third more land to the new state of Israel before the invasion. More than 600,000 Arabs fled Israel to become refugees in neighboring countries. 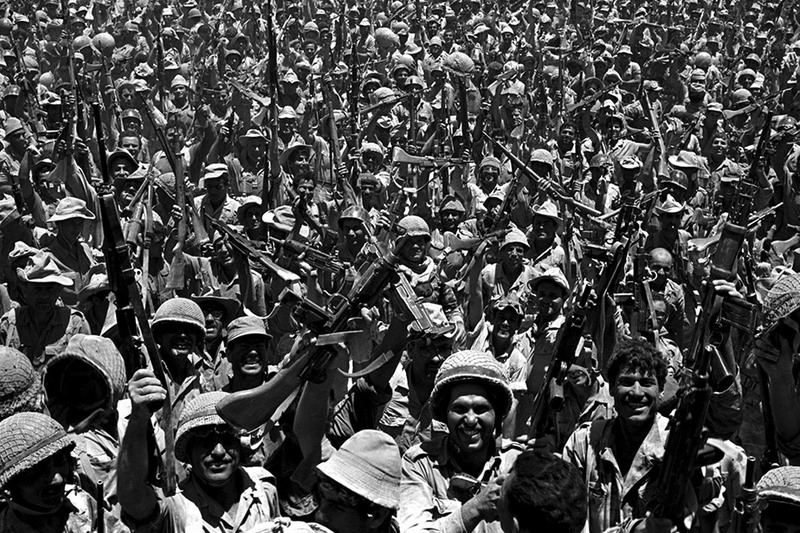 During the Six-Day War in 1967, Israeli soldiers celebrate after taking control of Egypt's Sinai Peninsula. Who was fighting: The Six-Day War lasted from June 5 to June 10, 1967, as Israel struck first at Egypt, Jordan and Syria. What happened: Israel occupied the Sinai Peninsula, the Gaza Strip, the West Bank, East Jerusalem and the Golan Heights. What was the outcome: Israel tripled its land holdings and gained control of Gaza. 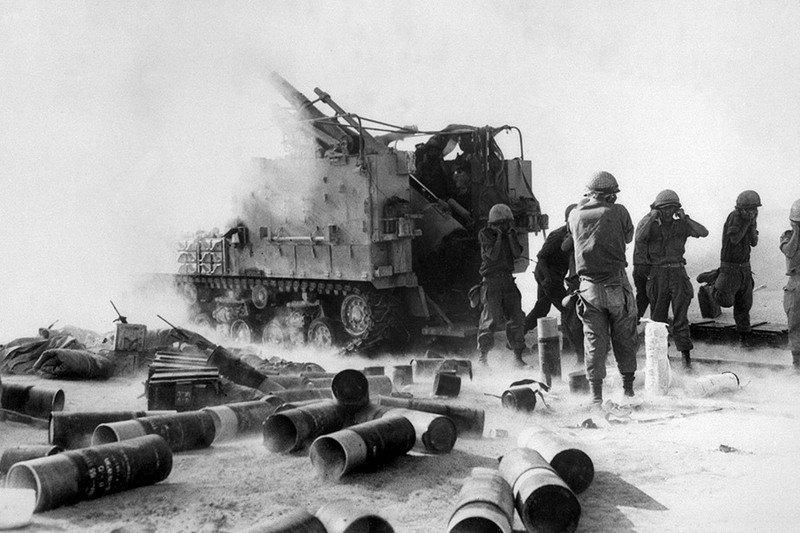 Israeli troops fire mortar shells toward Egyptian military positions on the Suez front in 1970.
Who was fighting: On July 1, 1967, hostilities escalated near the Suez Canal between Israel and Egypt in what Israel called the War of Attrition. What happened: Egypt sought to wear down Israel and eventually get Israeli troops to leave the Suez Canal. What was the outcome: Israel and Egypt agreed to a three-month ceasefire, and negotiations under a United Nations mediator. 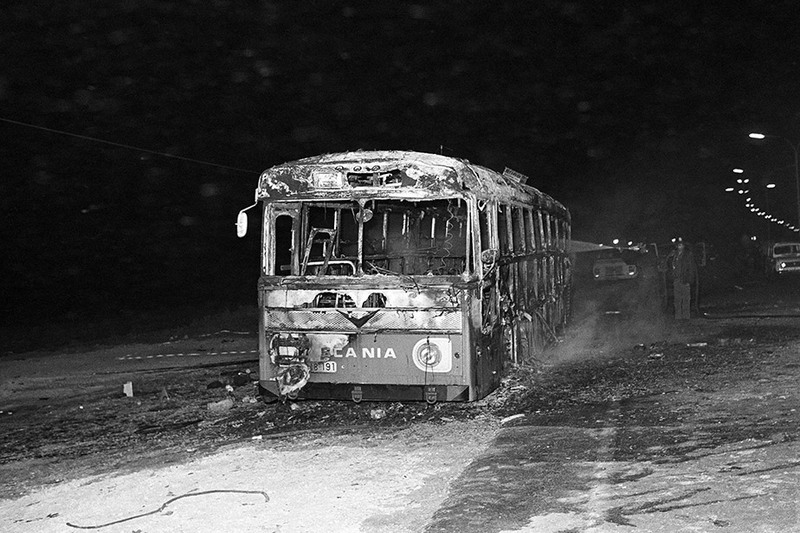 The fighting stopped in early August 1970. 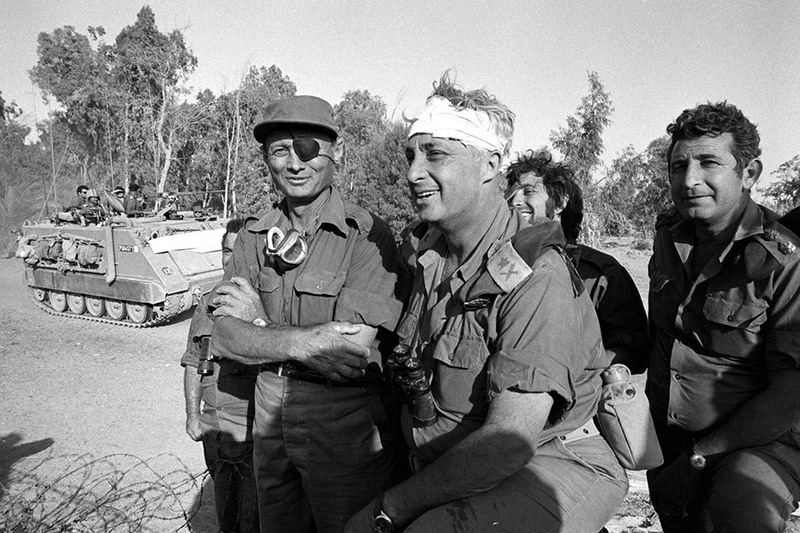 Israeli Defense Minister Moshe Dayan, left, meets with Gen. Ariel Sharon, second from left, during the Yom Kippur War in 1973. Sharon, who later became Israeli Prime Minister, said his greatest military success came during that war. He surrounded Egypt's Third Army and, defying orders, led 200 tanks and 5,000 men over the Suez Canal, a turning point. Who was fighting: Egypt and Syria launched the Yom Kippur War, which lasted from October 6, 1973, to October 22, 1973, with air strikes against Israeli targets in the Suez Canal and Golan Heights. What happened: Egypt and Syria were seeking to retake territory lost in 1967. Other Arab countries -- including Saudi Arabia, Kuwait, Libya, Algeria, Tunisia, Sudan, Morocco and Jordan -- aided Egypt and Syria with troops, financial assistance and weapons. The Soviet Union airlifted supplies to the Arab combatants, while the United States provided aid to Israel. What was the outcome: In 1973, the United Nations passed a resolution calling for a cease-fire and talks aimed at peace in the region. PLO terrorists hijacked a bus on Israel's Coastal Highway near Tel Aviv on March 11, 1978.
Who was fighting: Israel invaded Lebanon. What happened: A PLO attack on a bus in northern Israel prompted Israeli military forces to move into Lebanon to push the PLO militants back from the border. Israeli Defense Forces entered Lebanon and occupied part of the south. What was the outcome: After protest from the United Nations, Israel withdrew but created a "security zone" in the south of the country, administered by the Army of South Lebanon. The U.N. Security Council adopted Resolution 425 on March 19, 1978, days after Israel first invaded its northern neighbor in response to cross-border attacks by Palestinian militants. 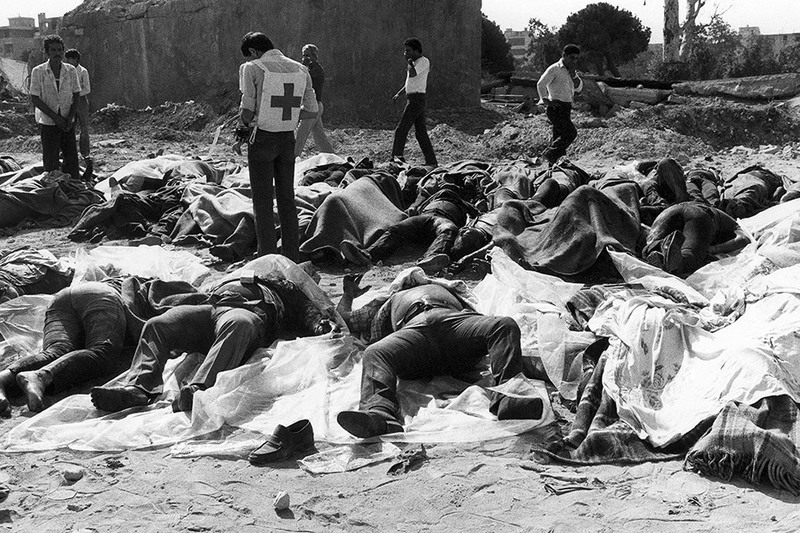 Rescue workers walk among corpses at the Sabra refugee camp in West Beirut, Lebanon, on September 20, 1982, days after Lebanese Christian militias massacred nearly 800 Palestinians. Who was fighting: Israel attacked Lebanon. What happened: On July 17, 1981, Israel bombed PLO headquarters in West Beirut, killing more than 300 civilians. The attack led to a U.S.-brokered cease-fire between Israel, the PLO and Syria, which had troops in Lebanon. The cease-fire lasted until June 6, 1982, when Israel invaded Lebanon with about 60,000 troops in a push to destroy the PLO, after an assassination attempt on Israel's ambassador to Britain. The Israel-backed Lebanese president-elect, Bashir Gemayel, was assassinated September 14, shortly before his inauguration. Israeli troops entered West Beirut a day later, and the following day, nearly 800 Palestinian refugees were massacred at the hands of Lebanese Christian militias in the Sabra and Shatila camps. Israel is accused of doing nothing to prevent or stop the massacre. What was the outcome: Hezbollah, a fundamentalist Shiite Muslim militant group, emerged as a force in Beirut, the Bekaa Valley and southern Lebanon. Sponsored by Iran, modeled after Iran's Revolutionary Guards and supported by Syria, Hezbollah aims to establish a Shiite Islamic state in Lebanon and force out Western interests like Israel and the United States. 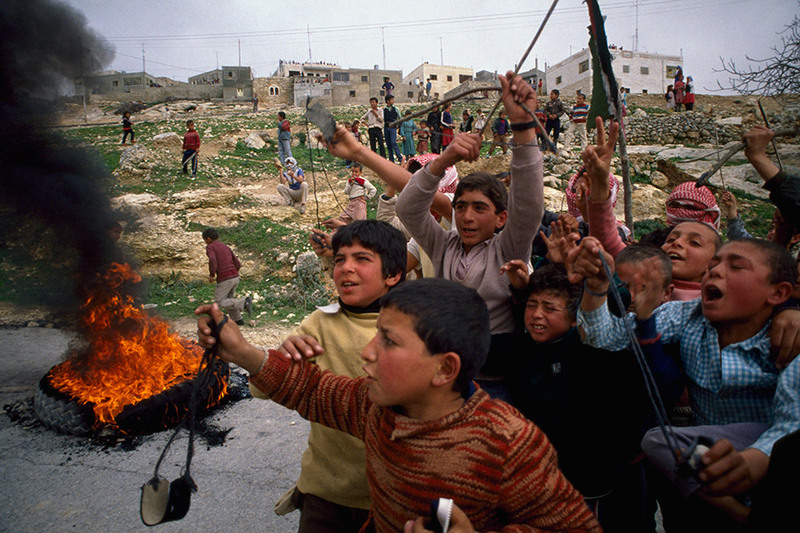 Young Palestinian demonstrators burn tires in the street and throw stones at Israeli soldiers during an uprising in the West Bank in 1988. When they fought: Beginning in December 1987.
Who was fighting: The intifada, a Palestinian uprising against Israeli rule in the West Bank and Gaza Strip, started on December 8, 1987. What happened: It started with small scale demonstrations over the Israeli occupation that took the form of general strikes, graffiti, burning barricades and rock throwing against Israeli troops. What was the outcome: It was estimated that hundreds of Palestinians died in clashes that continued until 1993, when Israel and the Palestine Liberation Organization (PLO) signed the Oslo Accords leading to the withdrawal of Israeli troops from most of Gaza in 1994. The agreement allowed for self-rule under the Palestine National Authority and Israeli troop withdrawal from parts of the West Bank and the Gaza Strip. 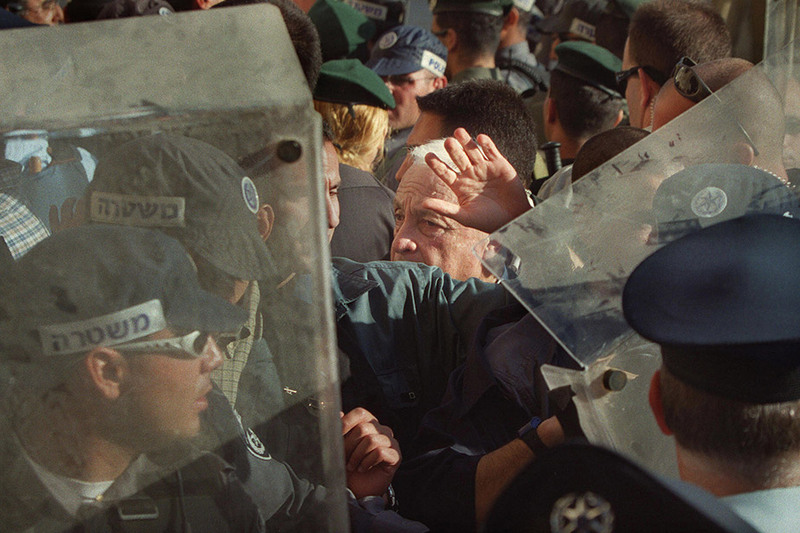 Ariel Sharon, center, leaves the al-Aksa mosque compound in Jerusalem's Old City on September 28, 2000. When they fought: Beginning in September 2000.
Who was fighting: Palestinians were growing increasingly frustrated over the lack of a final peace deal and what they viewed as Israel's continued occupation of Gaza and the West Bank. What happened: The al-Aksa Intifada, or the second intifada or uprising, began after Israeli leader Ariel Sharon on September 28, 2000, visited the Temple Mount, a holy place for Jews and Muslims, and declared that it will always remain under Israeli control. Violence erupted. Over the next five years it escalated from rioting and rock-throwing to machine gun attacks, mortars and a spate of suicide bombings. What was the outcome: The death toll reached nearly 3,000 Palestinians and nearly 1,000 Israelis between 2000 and 2005. A mutual cease-fire was reached in Egypt. Israel announced a plan to remove all Jewish settlements and Israeli troops from Gaza by the end of 2005. On September 11, 2005, the Israeli flag was lowered over Gaza, marking the end of 38 years of Israeli occupation of the Palestinian territory. Palestinians say that Israel maintains control over Gaza through its grip on the skies, waters and entry points. Israel has said such measures are necessary for security. 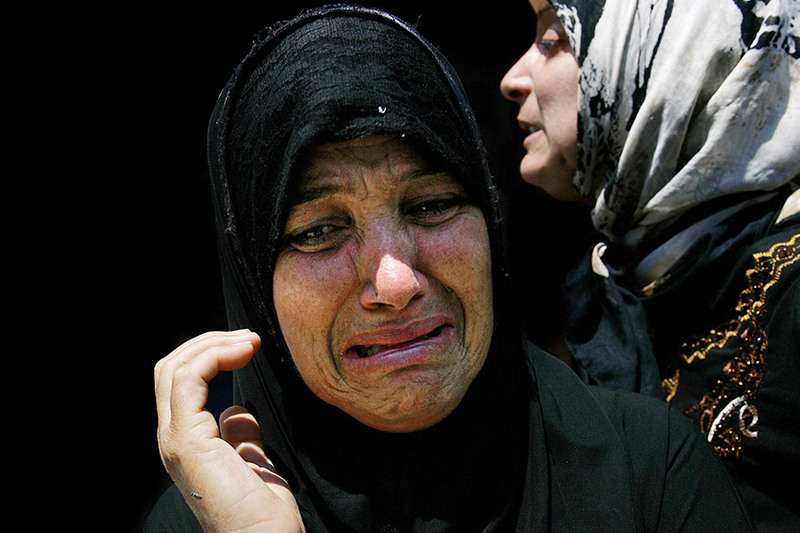 Women grieve during a mass funeral in Tyre, Lebanon, on July 29, 2006, after weeks of Israeli airstrikes. Who was fighting: A local conflict between Israel and Palestinian militants escalated beyond Israel's borders on July 12, 2006, with the involvement of Lebanon's Hezbollah Shiite militants. What happened: Israel expanded a military campaign against Hezbollah after the group killed three Israeli soldiers and kidnapped two others. Israeli fighter jets bombed Beirut International Airport and other targets. Lebanese Interior Minister Ahmed Fatfat called the airport strikes a "general act of war," saying it had nothing to do with Hezbollah, but was instead an attack against the country's "economic interests," especially its tourism industry. Hezbollah countered with rocket attacks against northern Israel. Dozens of Lebanese civilians died in the fighting, which coincided with a two-week-old Israeli military campaign in Gaza in response to the kidnapping of an Israeli soldier by Palestinian militants. What was the outcome: United Nations-brokered cease-fire took effect on August 14, 2006. The United Nations deployed troops in southern Lebanon as a "vanguard force" working to replace Israeli troops with Lebanese and U.N. soldiers. 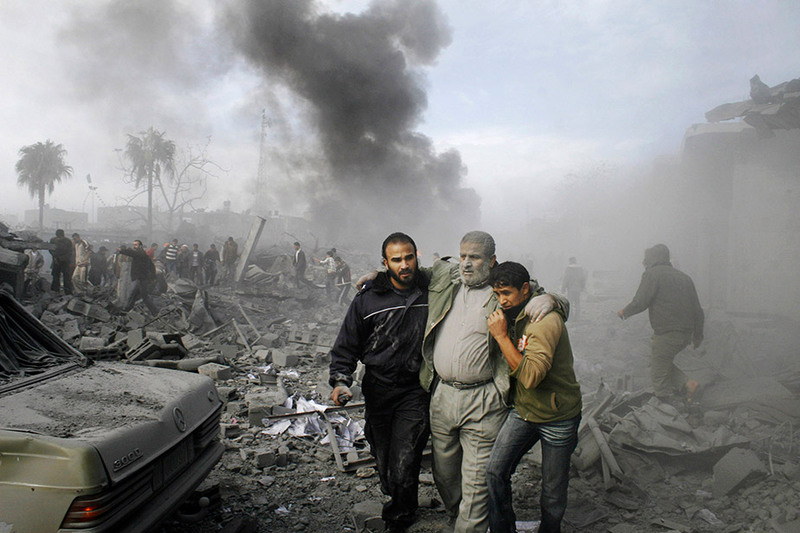 An injured Palestinian is helped from the rubble following an Israeli missile strike in Gaza on December 27, 2008.
Who was fighting: Israel attacked Hamas targets in Gaza. It happened after a six-month cease-fire brokered by Egypt ended December 19, 2008, following an escalation of attacks between Israel and Hamas the previous month. What happened: On December 27, 2008, Israel launched Operation Cast Lead with air strikes against Hamas targets in Gaza in response to a barrage of rocket attacks against southern Israel. More than 200 Palestinians were killed on the first day alone. Israeli strikes targeted the Hamas-run Interior Ministry in late December. On January 1, 2009, an Israeli airstrike killed Hamas leader Nizar Rayyan in his home. On January 3, 2009, Israel launched a ground attack into Gaza and called up tens of thousands of reservists. What was the outcome: In early January 2009, Israel gained control of parts of northern Gaza. Israeli Prime Minister Ehud Olmert and Defense Minister Ehud Barak met with Middle East envoy Tony Blair in Tel Aviv. Israeli President Shimon Peres rejected international calls for a cease-fire. On January 5, 2009, Israel allowed 80 trucks with food and medical aid to pass into Gaza through the Kerem Shalom border crossing. Israeli and Hamas representatives met in Cairo, Egypt, on January 8 for talks. The United Nations Security Council voted in favor of a resolution that called for "an immediate, durable, and fully respected cease-fire which would lead to the full withdrawal of Israeli forces from Gaza." Israel and Hamas rejected it. On January 18, 2009, Olmert declared a unilateral cease-fire in a conflict in which about 1,300 Palestinians were killed, along with 13 Israelis. Israeli troops completed their withdrawal from Gaza on January 21, 2009, following a military campaign against the Palestinian territory's Hamas rulers. 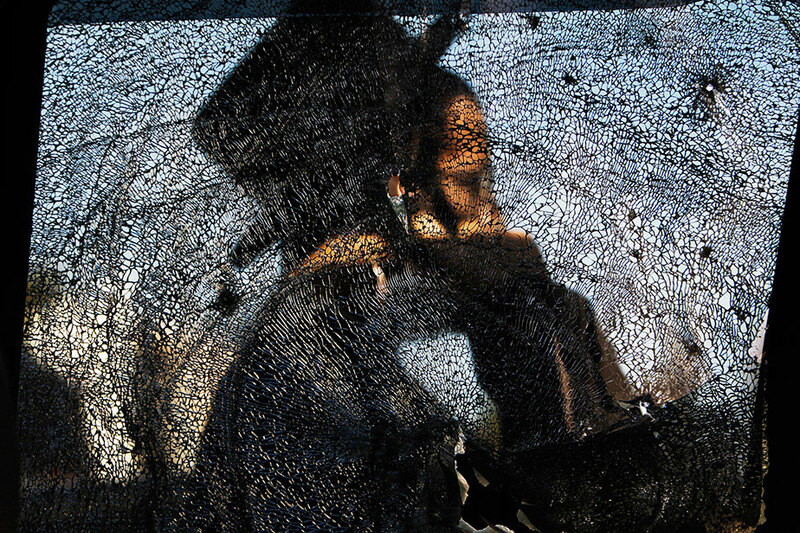 An ultra-Orthodox Jewish man is seen through a damaged car window after a rocket fired from Gaza landed in Ashdod, Israel, on November 16, 2012.
Who was fighting: Israel attacked targets in Gaza in Operation Pillar of Defense. What happened: After months of increased rocket attacks from Gaza, Israel retaliated with a series of "surgical" airstrikes against militant organizations in Gaza. Among those killed was Ahmed Jabri, the head of Hamas' military operations. What was the outcome: On November 21, 2012, a cease-fire between Hamas and Israel took effect following eight days of violence. The Gaza Ministry of Health said 163 Palestinians were killed and more than 1,000 wounded. The Israel Defense Forces said Israel unleashed at least 1,500 airstrikes on Gaza. Six Israelis were killed, and at least 200 wounded. 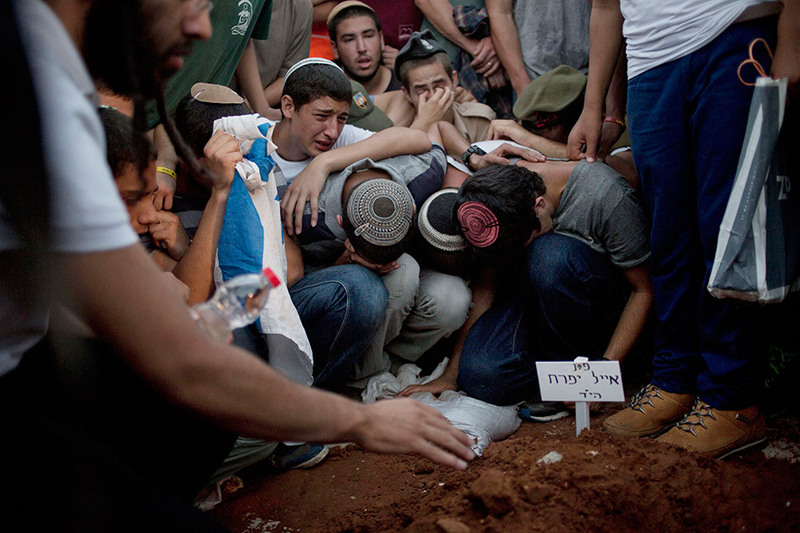 Family and friends of Eyal Yifrach, Naftali Frankel and Gilad Shaar mourn over Yifrach's grave during a funeral service July 1 in Modi'in, Israel. The three Israeli teenagers' bodies were found weeks after they were abducted in the West Bank. When they fought: Beginning in July 2014.
Who was fighting: Israel attacked Hamas targets in Gaza in Operation Protective Edge. What happened: On June 12, 2014, three Israeli teens on their way home from school in the West Bank were abducted. One was a dual U.S-Israeli citizen. Israel blamed Hamas, the movement formed in 1987 at the start of the first Palestinian intifada, or uprising, as an Islamic resistance movement. The teens' bodies were discovered June 30 in the West Bank. On July 2, a Palestinian teen was abducted and killed. Palestinian and Israeli officials condemned the killing. Israel announced days later that investigators had arrested suspects amid a "strong indication" of a revenge killing. Clashes erupted in a usually quiet part of Jerusalem. Rocket attacks from Gaza into southern Israel picked up. Israel carried out airstrikes targeting militants in Gaza and sent troops into Gaza. One top goal for Israel was to uncover and destroy dozens of tunnels that it says Hamas has used to launch attacks and infiltrate Israeli territory. What was the outcome: The Israeli military says it had largely accomplished its mission of destroying tunnels that led from Gaza to Israel. Many of the larger issues underlying the conflict remain the subject of intense diplomatic focus, with many regional and world powers urging a long-term solution that has so far proven elusive. What is Israel's endgame in Gaza?